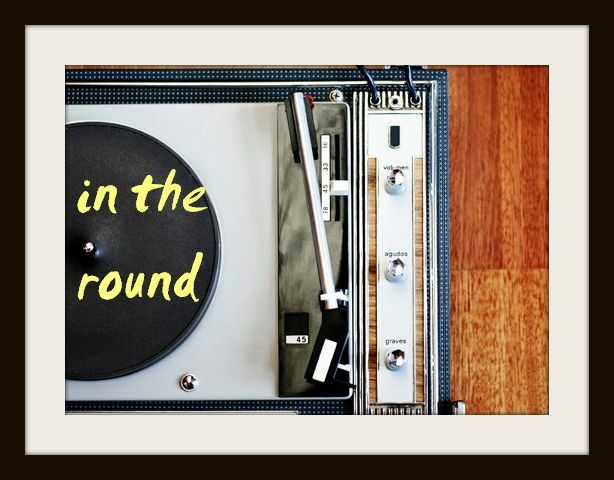 In The Round: I Don't Want A World Without The Tragically Hip. 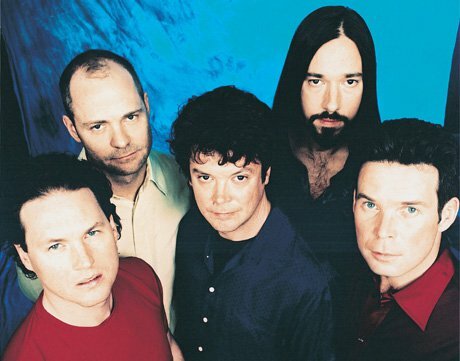 I Don't Want A World Without The Tragically Hip. This week, I've surprised myself with how many times I've gotten choked up trying to word exactly how much The Tragically Hip mean to me. Not just what they mean to a Canadian music fan who's witnessed their long, fruitful career as one of the country's most cherished bands. But, what they've meant to me, a girl who also grew up in their native Kingston, Ontario, knowing she wanted to make even the slightest contribution to music outside of our small city limits. On an average Saturday morning in downtown Kingston, it wasn't uncommon to pass by The Hip and their families. Or see one of them cheering on the sidelines at your soccer finals. Or speaking at your graduation. My high school, which most of the band members attended (as well as their children after them), was decorated with mention of these hometown heroes. They were everywhere, and rightfully so, because they achieved so much more - on a large, powerful scale - than a small city would expect of some high school friends. And despite being wildly accomplished, they remained humble and seemingly regular. They never stopped coming home, and therefore, their music never stopped feeling like home. Their music, however - and more specifically, Gord Downie - has never been overly accessible. Although it's some of the most widely known rock music in Canadian history, nothing about it has been easy or predictable. It's not sugary radio-rock that people "get" off the bat, which is perhaps why it would be hard to play The Hip for an international friend and have them immediately understand their importance. The band's lyricism, instrumentation, and quirky, formidable frontman have been beautifully non-conformist from the get-go; so much so that placing them alongside anything or anyone else feels futile. Their artwork is distinctly Canadian - and, not just in their frequent mention of Ontario locales, but in so many other ways I've never really been able to articulate. From their 1989 full-length debut through to their 11, soon to be 12, other albums, The Hip have flourished in a complete space of their own, almost effortlessly, because of their depth and originality. They really are heroes for that. Gord Downie never tried to fit himself nor his band into a box, and because of that, they've grown into something inexplicably special. And Downie has become, hands down, the most memorable Canadian rock frontman of our time. I don't like the idea of a world where I don't get to see Gord Downie perform once every two years. I don't want them to stop releasing albums. I want to be eternally curious what Gordie is going to say and do in between songs. But, his timeless legacy (including this 11-stop final tour), and the memories painted over most streets of my hometown - where it all began for the band and myself - will have to be enough. And, from here on out - especially after this year in music - I think I'll be a little more conscious of and grateful for the artists we still have with us, making the biggest difference in our lives just by creating. I've watched the band's perfect SNL performance of "Grace, Too" hundreds of times over the years, and this week in itself, maybe 15 times. I find a little solace in it, and hopefully you can, too.